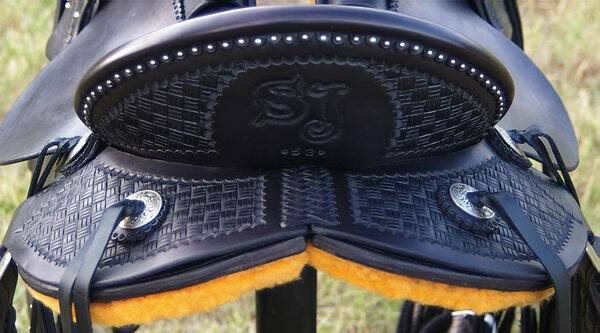 Below are samples of custom saddles Bob has built! 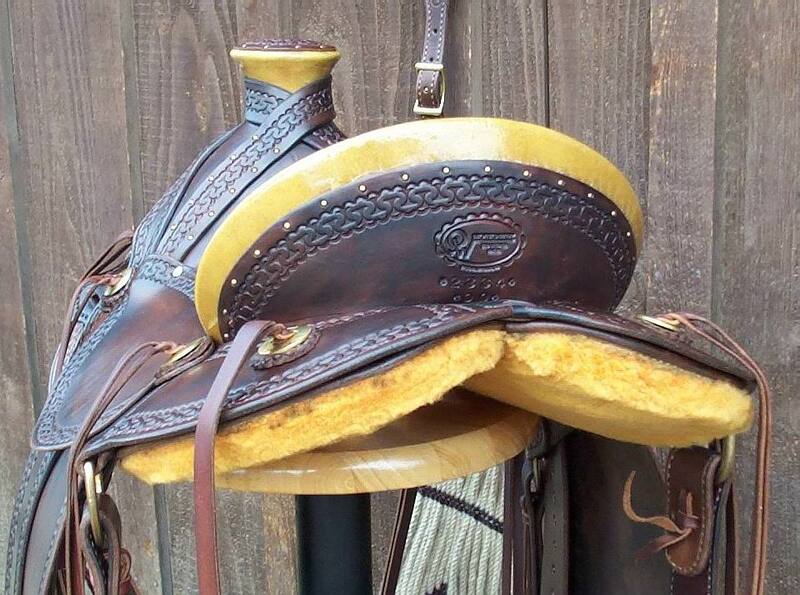 No two saddles alike! 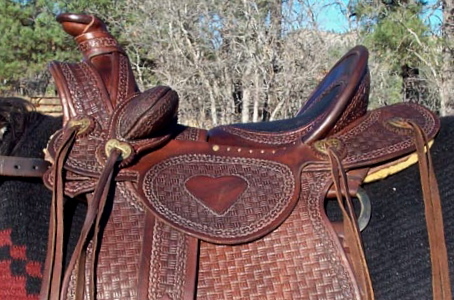 The average weight is 32 pounds! 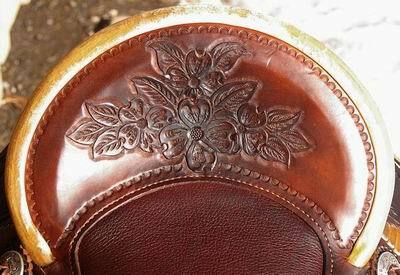 Leather is the finest quality Herman Oak, rough out or smooth side out, oiled and treated with Skidmore’s Leather Cream. 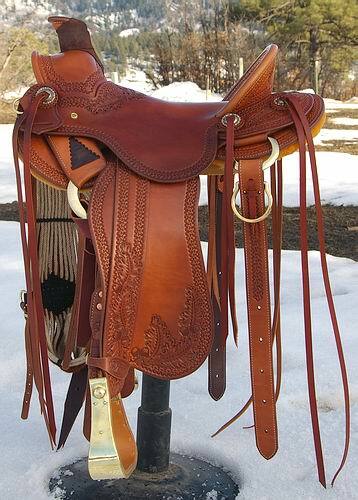 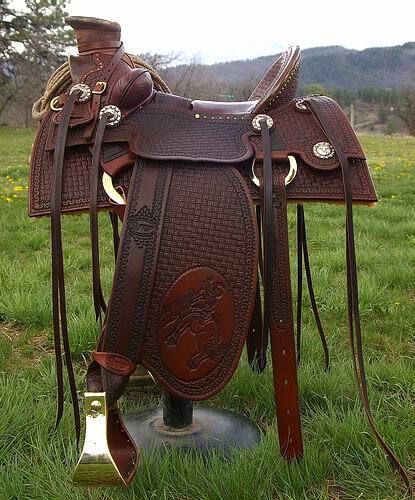 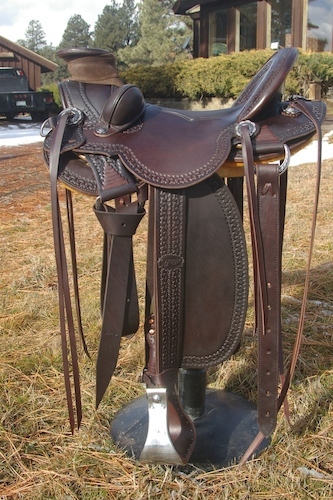 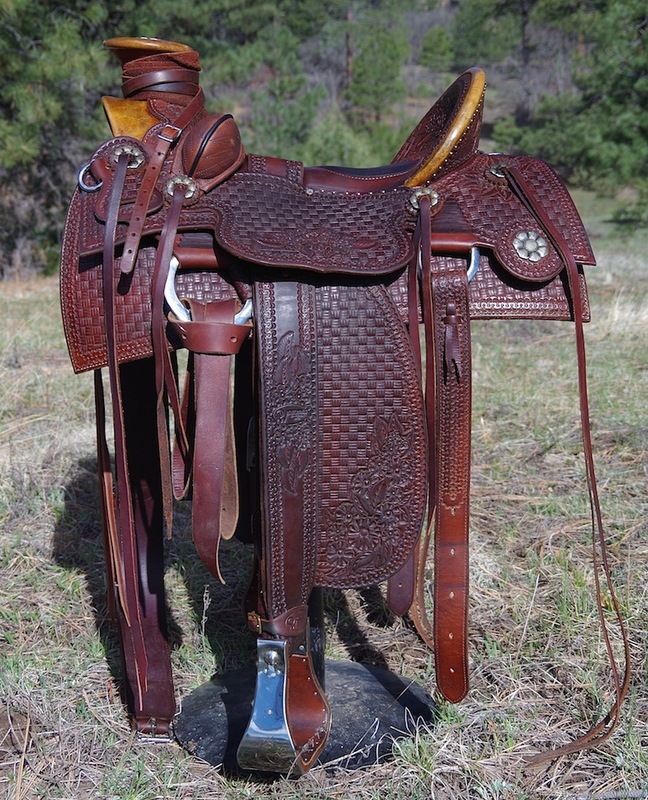 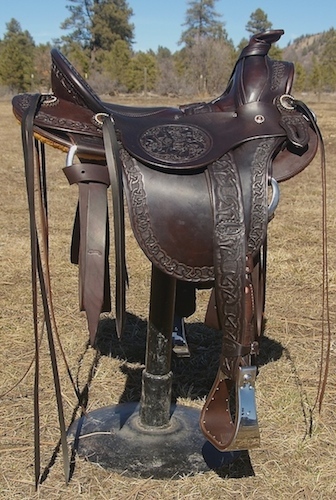 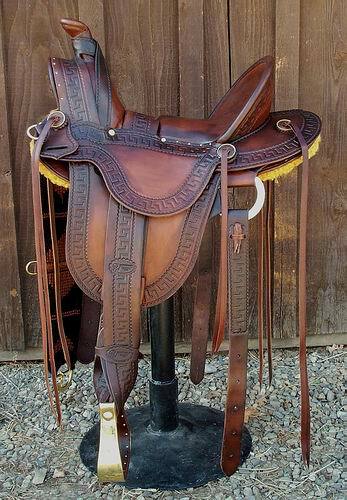 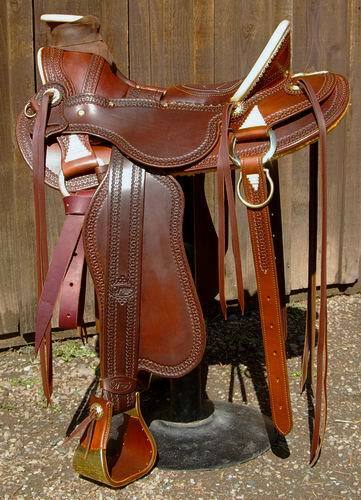 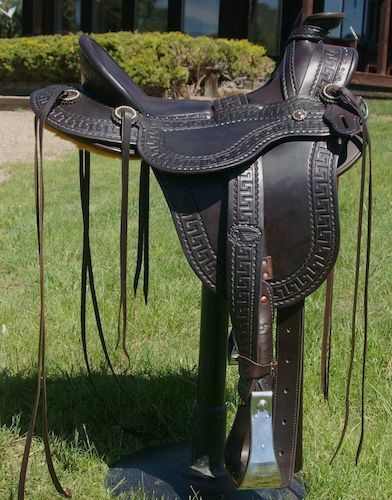 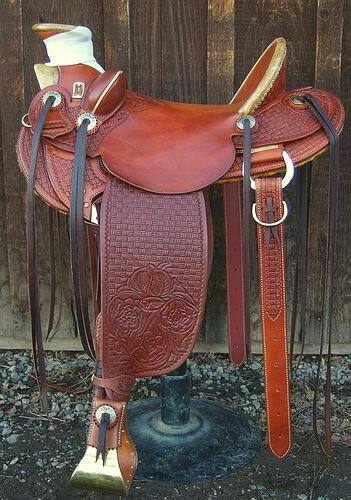 Seat size from 12" to 18", Full seat, Standard Horn, Horn String or Regular Rope Strap, Conventional Single Rigged w/Dee or Ring, Off Side – Billet, Half Breed, or Latigo Cinch Strap, Front Cinch – 100% Mohair, 6 Strings w/ Leather Conchos, Fork Binding Turned Under, 3 Piece Laced Or Belvins/Superior Buckles, Stirrup Hobbles – String Or Buckle, Round Skirts Or Mini Skirts, Straight Cantle Binding, 3” Brass Bell Stirrups. 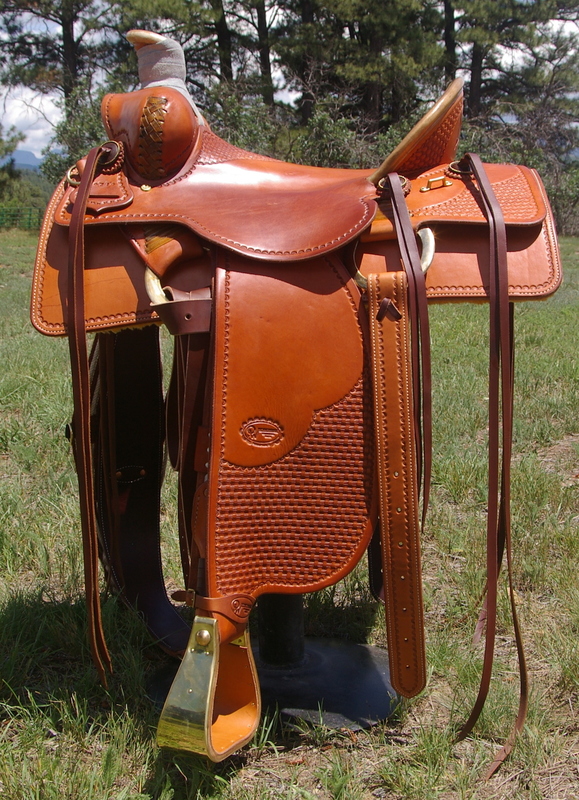 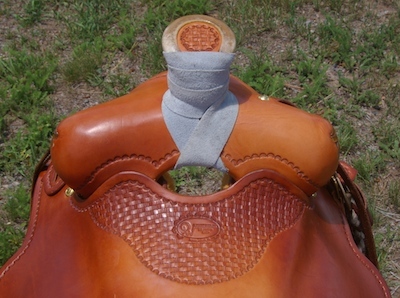 We specialize in old time style saddles that fit today’s horses and are healthy for both rider and horse/mule. 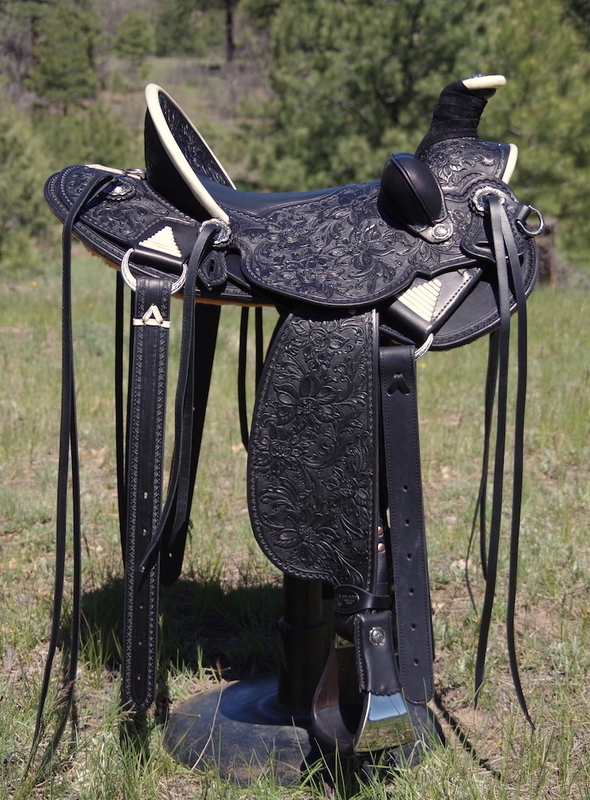 All of our saddles and trees are handmade using the highest quality workmanship and materials available. 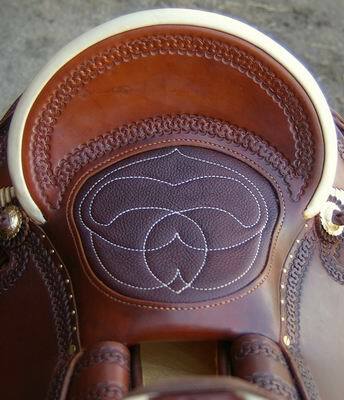 All the stitching is recessed for quality and durability. 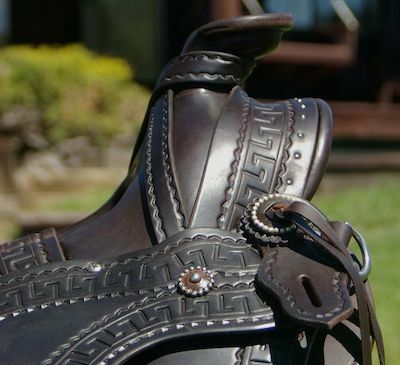 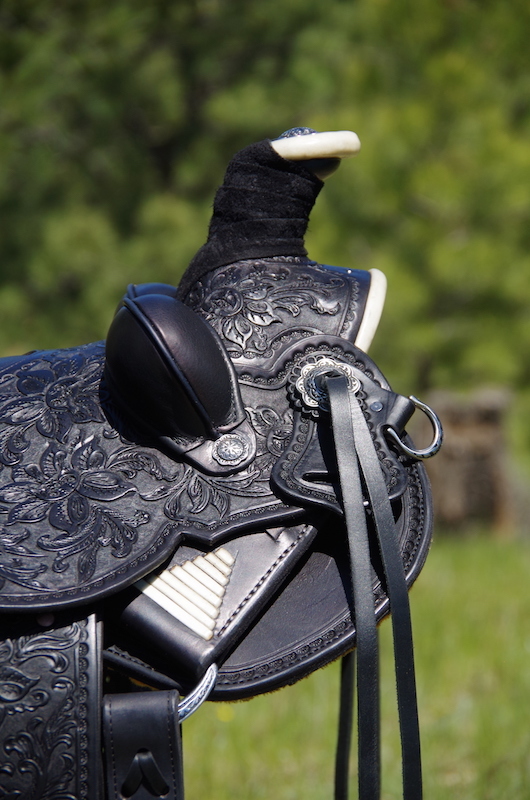 Our saddles are perfectly balanced for a comfortable ride for you and your horse, they are one of the few western saddles built today designed so you sit centered and as close to the horse as possible for the best communication between you and your horse. 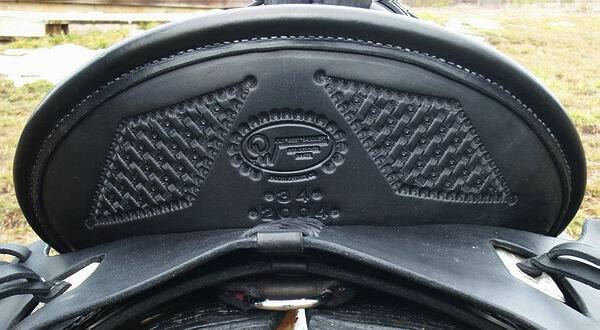 The seat is not built up in the front. 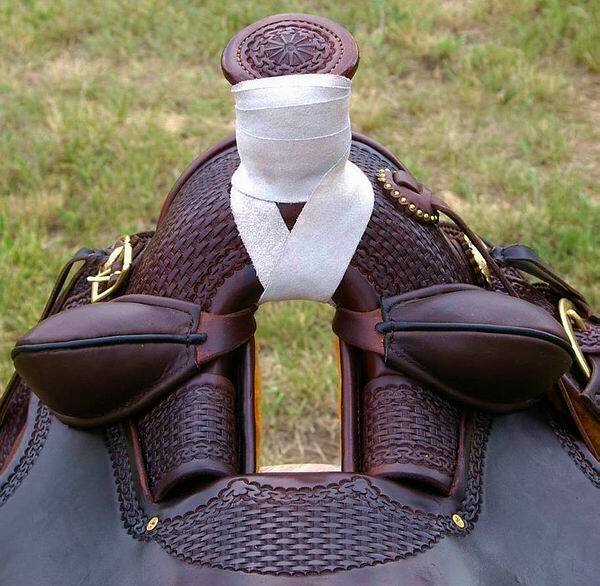 Where possible we do custom fittings for you and your horse or herd or see our saddle fitting guide & saddle fitting information & philosophy pages. 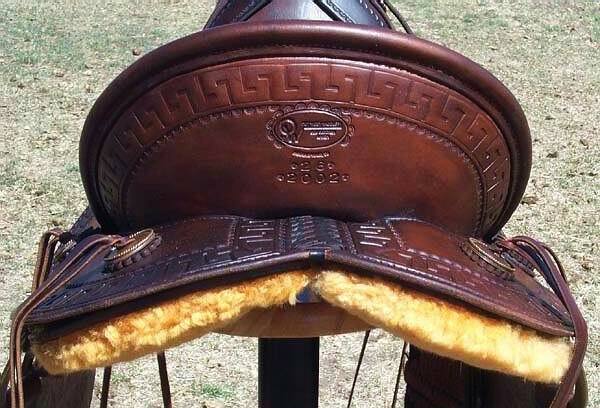 We encourage a universal fitting saddle for the type of horses you like, not a saddle to a horse because horses change like us! 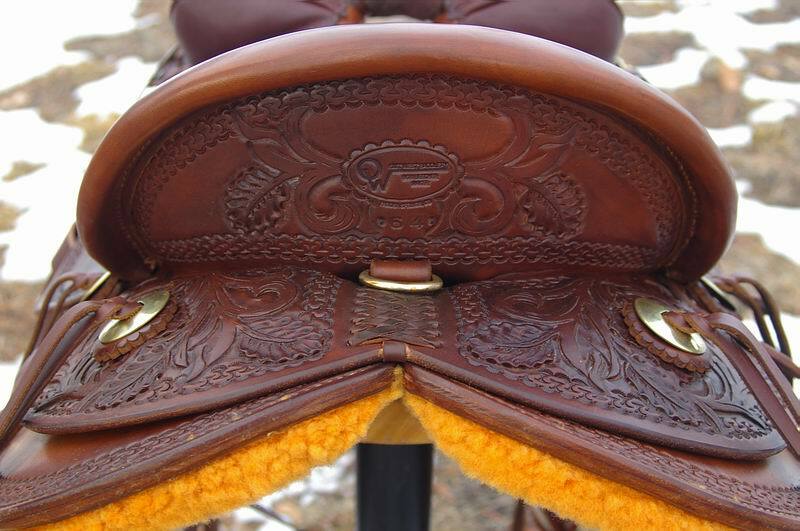 We believe proper fit and the way the saddle positions you is the most important elements in choosing a saddle. 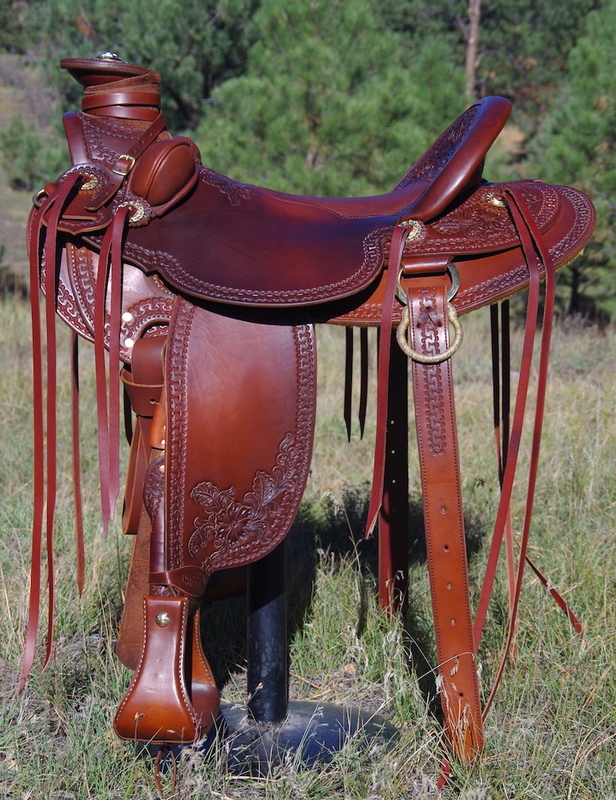 Bob is only able to make a limited number of custom saddles a year so we now have a stock saddle also available that Bob designed and we are having made by our custom tree maker and a small production saddle company in Tennessee. 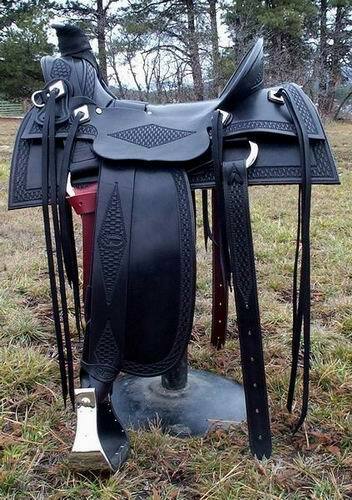 We try to keep in stock as many as possible, the demand for them has been very high! 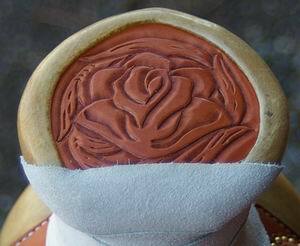 Fortunately we have a very talented apprentice, Estella Ray, that Bob is teaching so his gifts and knowledge can be pasted down and continue on for future generations. 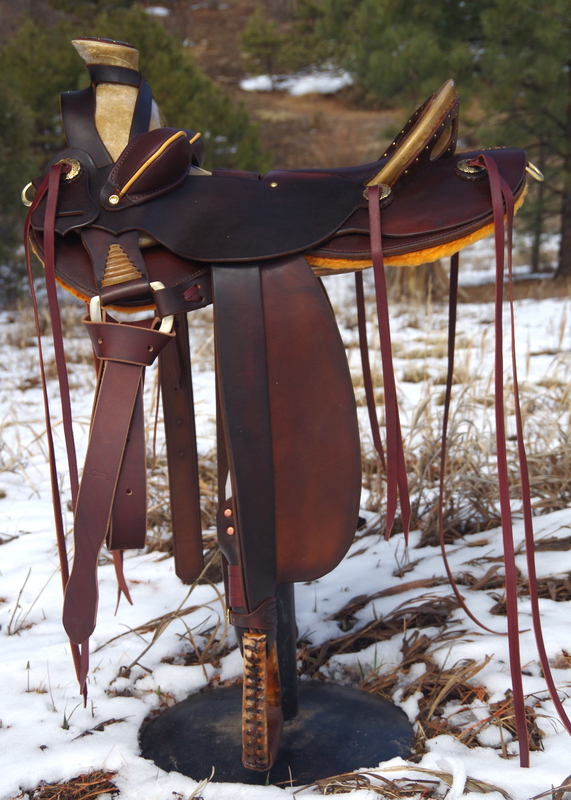 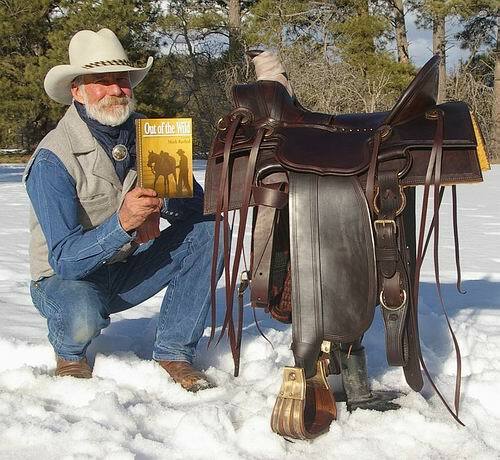 #70 Custom Saddle on Slick 9 Tree built for the movie Out Of The Wild, based on the novel by Mark Rashid, horseman, writer, and clinician. 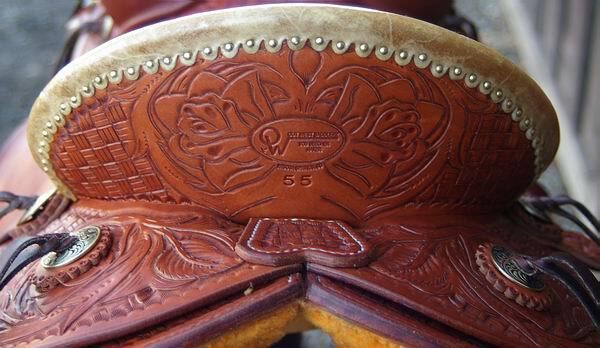 #65 RH Custom Vaquero Wade Weighs approx. 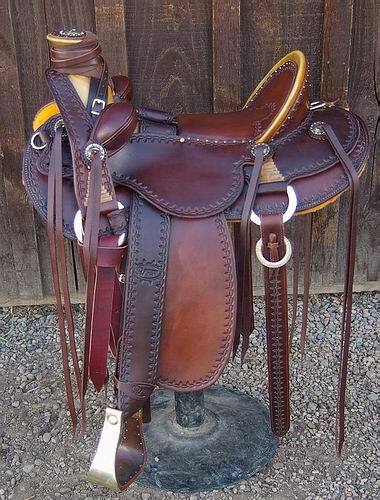 30-35 lbs! 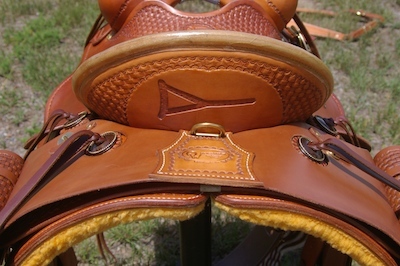 #62 RH Custom Vaquero Wade Weighs Approx. 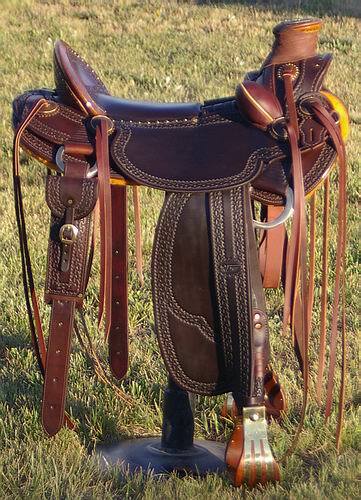 30-35 lbs! 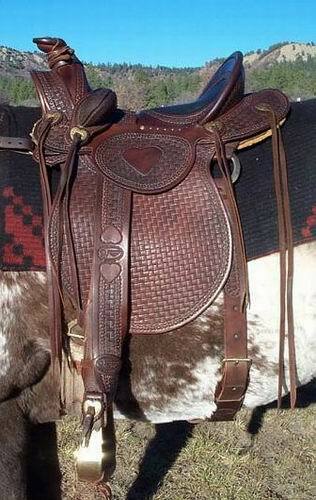 #52 Custom JC Vaquero Wade-Weighs Approx. 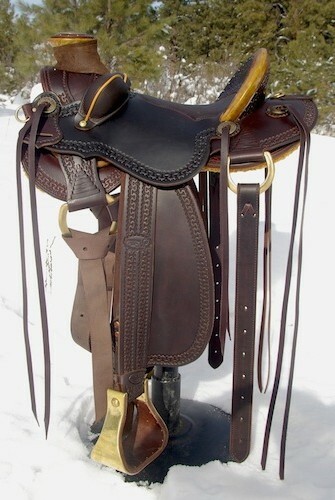 30-35 lbs! 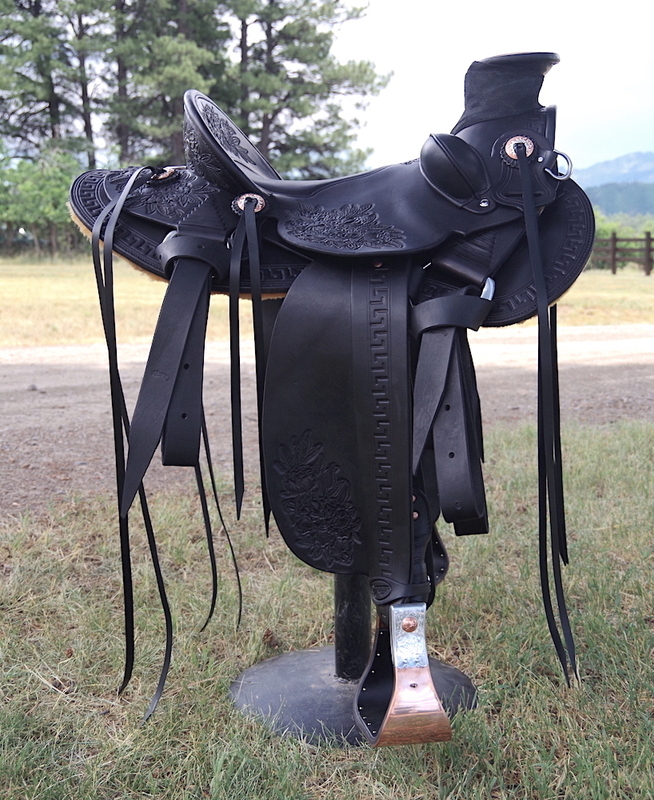 #50 TB Custom Vaquero Wade Weighs Approx. 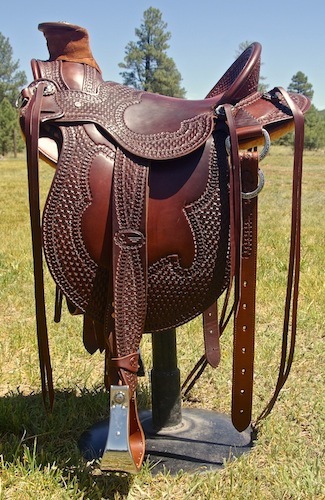 30-35 lbs! 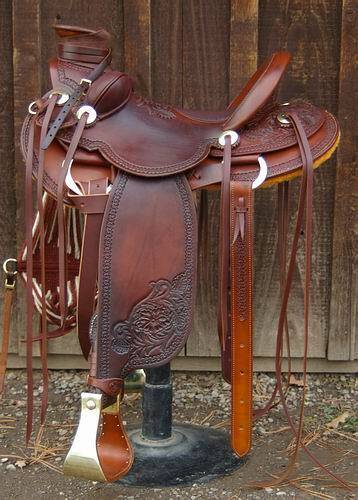 I can't say enough about how happy I am with my beautiful saddle made by Out West Saddlery. 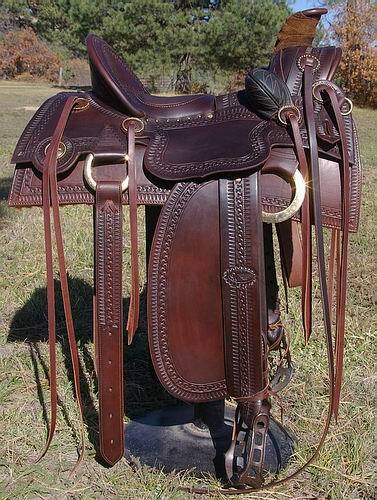 Each time I ride my horse CL in it, he gets better. 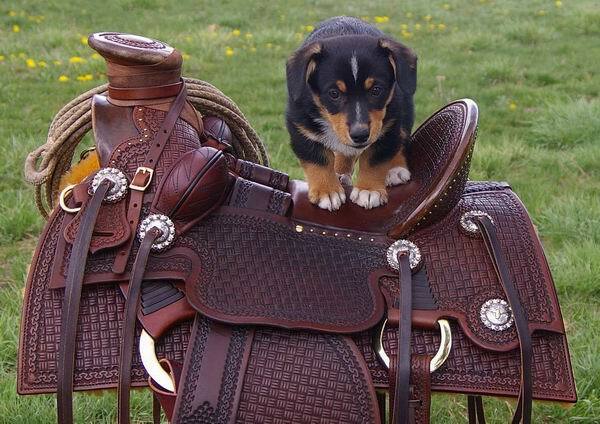 I think he is realizing how much better it feels! 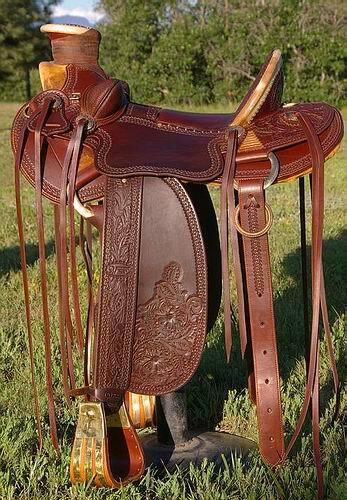 His long trot makes me weep it is so effortless. 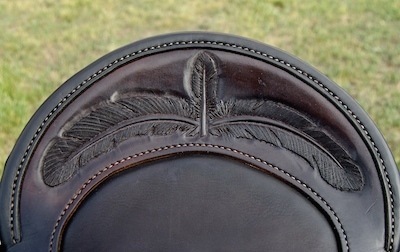 The biggest difference is when I ask him to lope he is much more rounded and smoother than before. 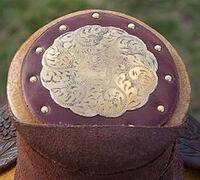 I ride in a bosal hackamore and while he has always been soft he is now "giving" with a lot less effort when I pick up on him. 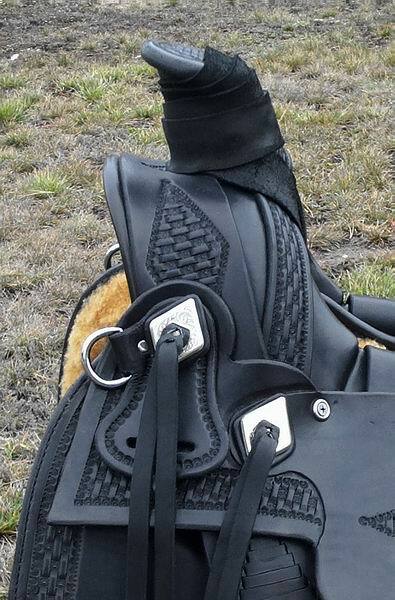 He has a great side-pass and back-up and now they are even better. 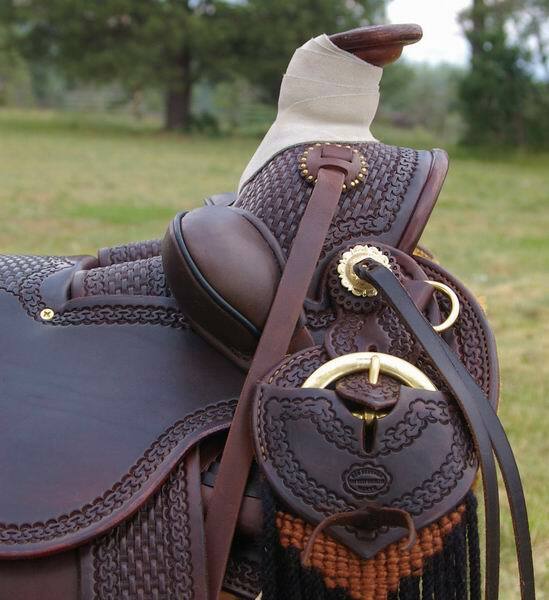 I think it has to be because his shoulders are freed up as all our lateral movements seem more fluid. 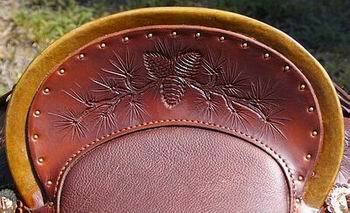 I am itching to work cows to see how that feels. 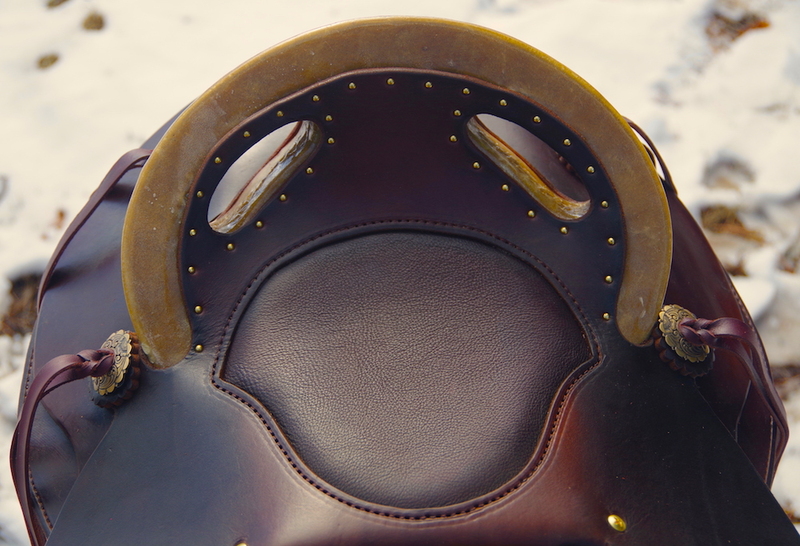 While I am still getting used to the seat, it is for sure more comfortable and I LOVE the closer contact. 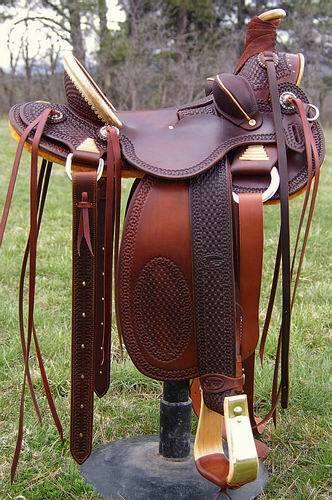 Now I realize that my other saddles had me in the wrong position. 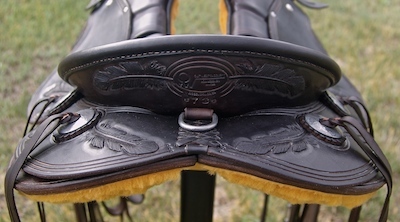 In this saddle I feel like I am more in unison with CL and that my position is making it easier for him to move & respond. 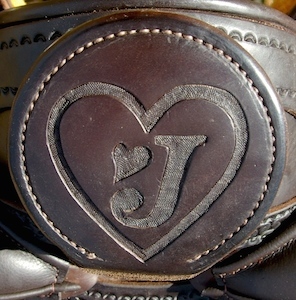 As I told you, I lost my daughter, Justine, to cancer in April. 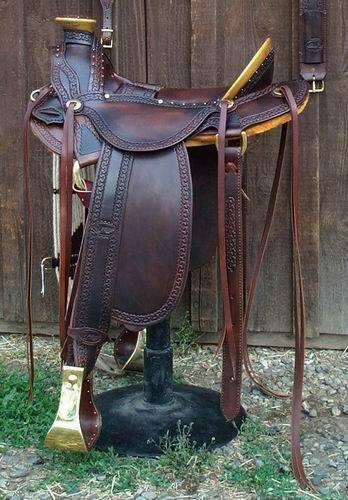 I raised her by myself and she was my best friend. 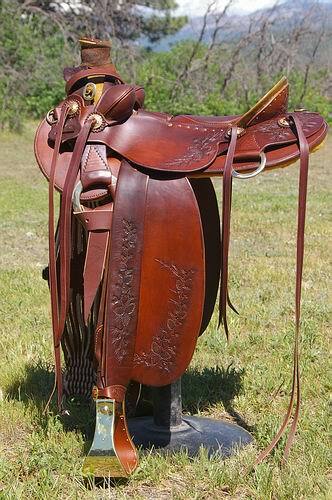 I had been trying to think of a way to honor her and when I decided to get one of your saddles, I thought maybe you could do something special. 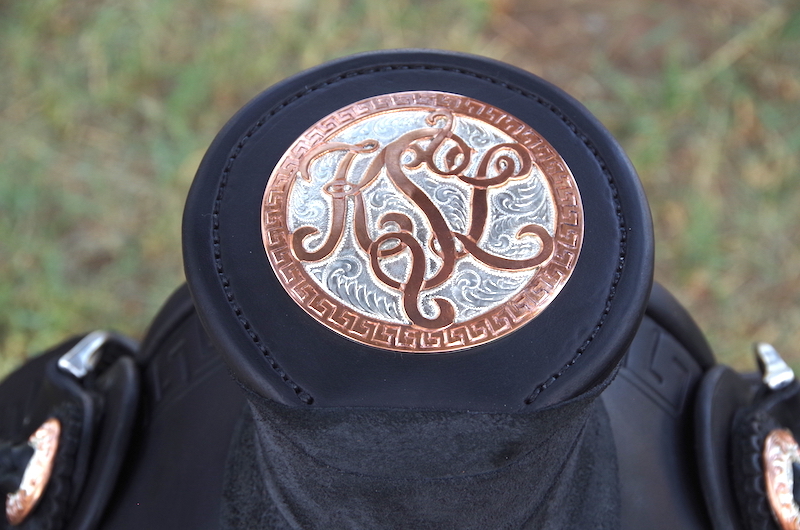 The “J” inside the heart tooling on the horn to memorialize Justine really brings the whole thing together and is so representative of her simple beauty. 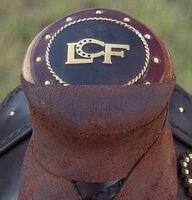 When she rode CL, he took exquisite care of her and remembering them together are some of my fondest memories. 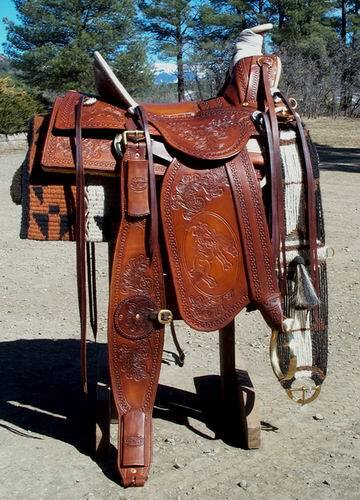 It is pretty cool that she can be “with” me every time I ride. 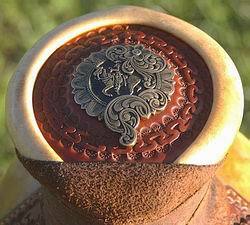 It means the world that you understood my vision for that. 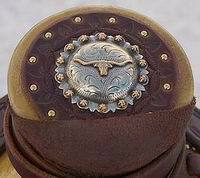 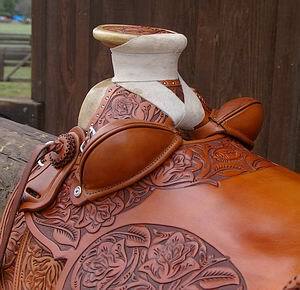 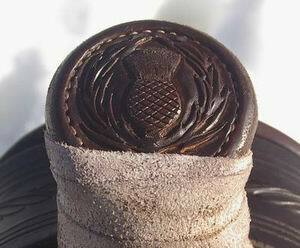 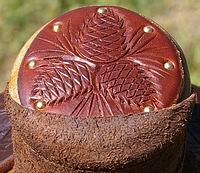 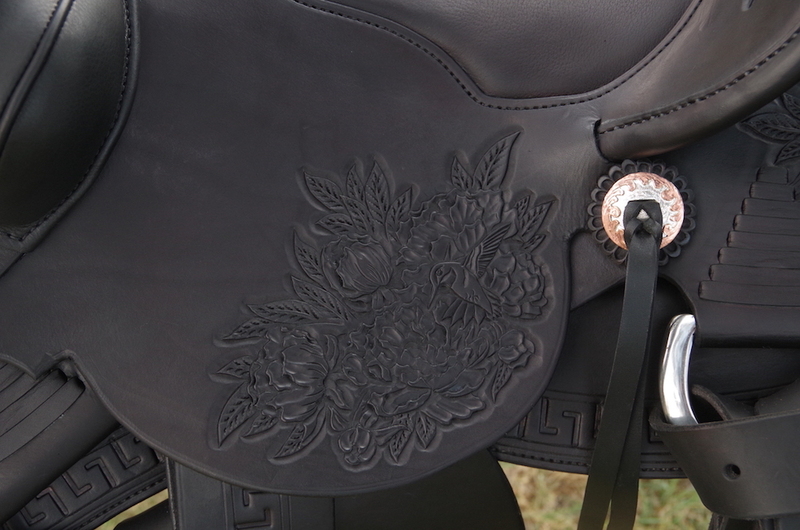 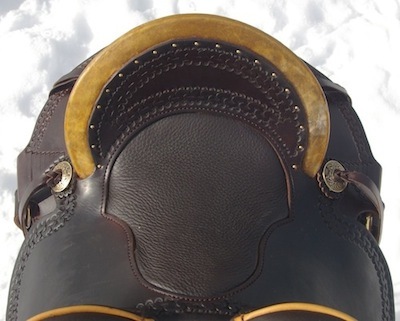 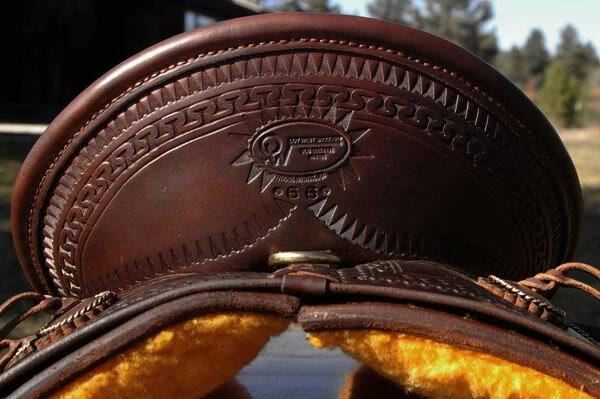 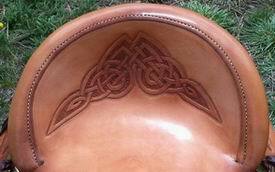 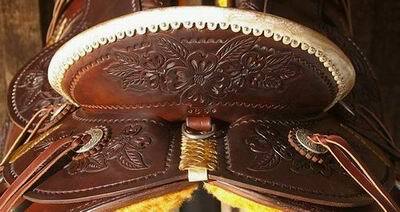 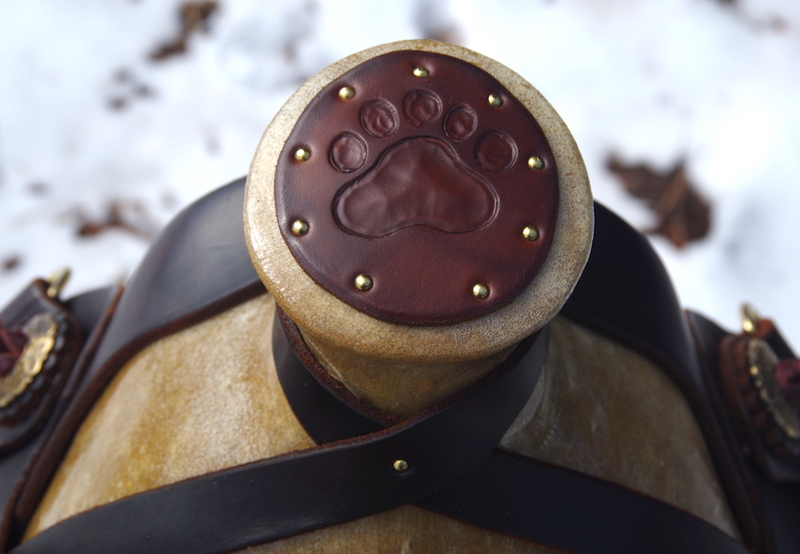 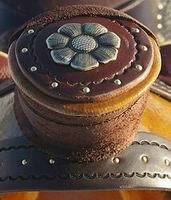 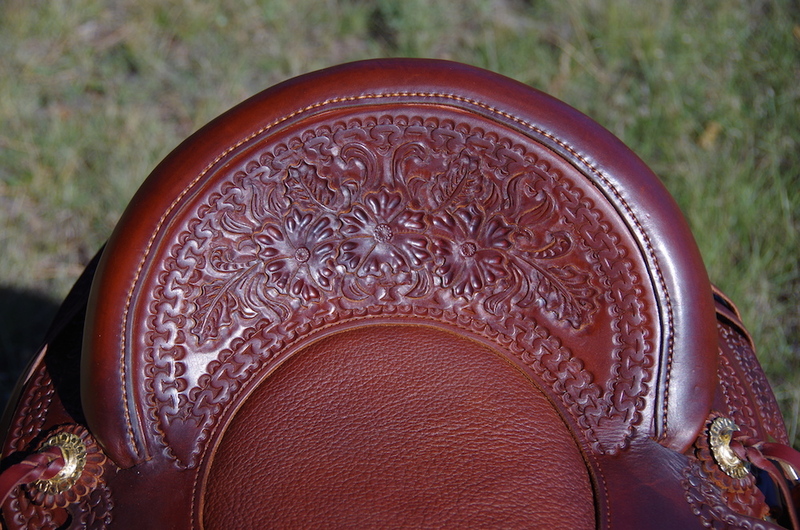 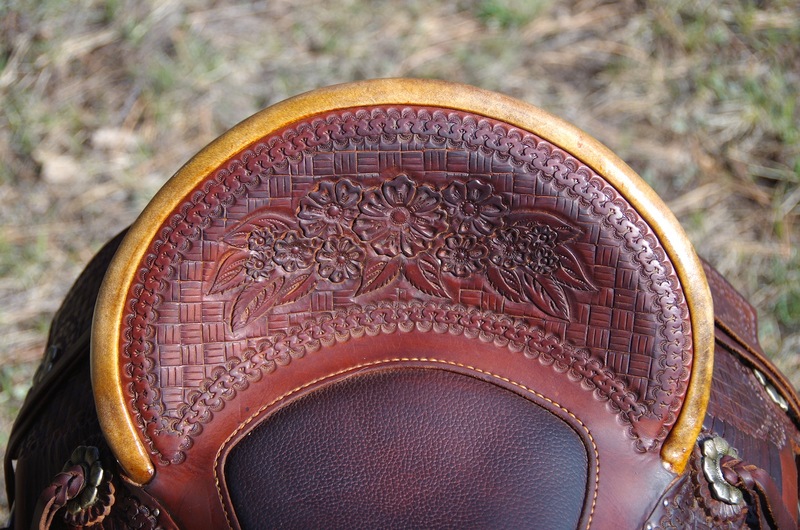 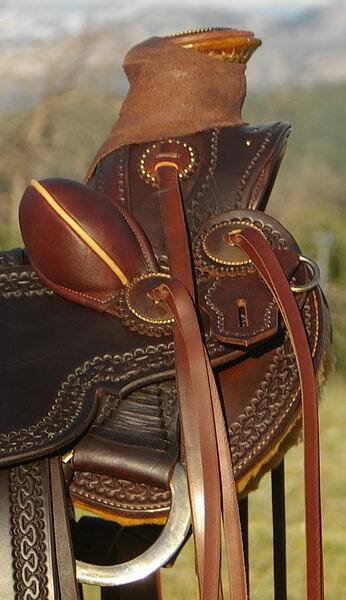 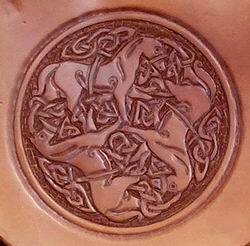 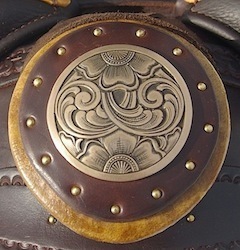 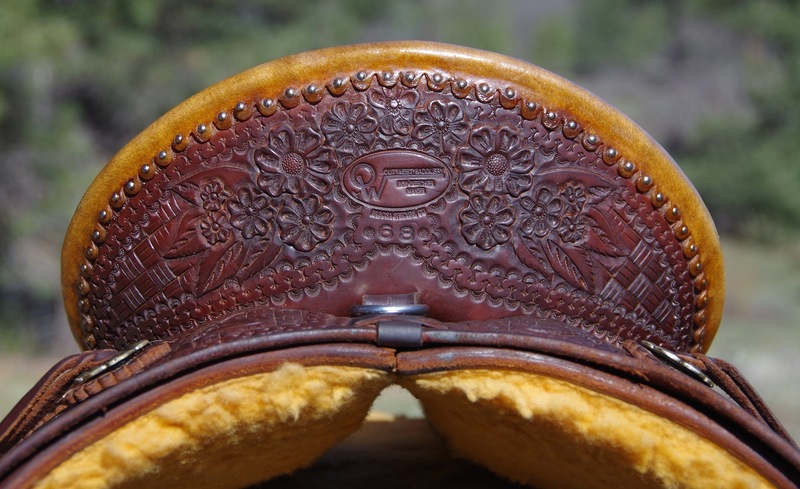 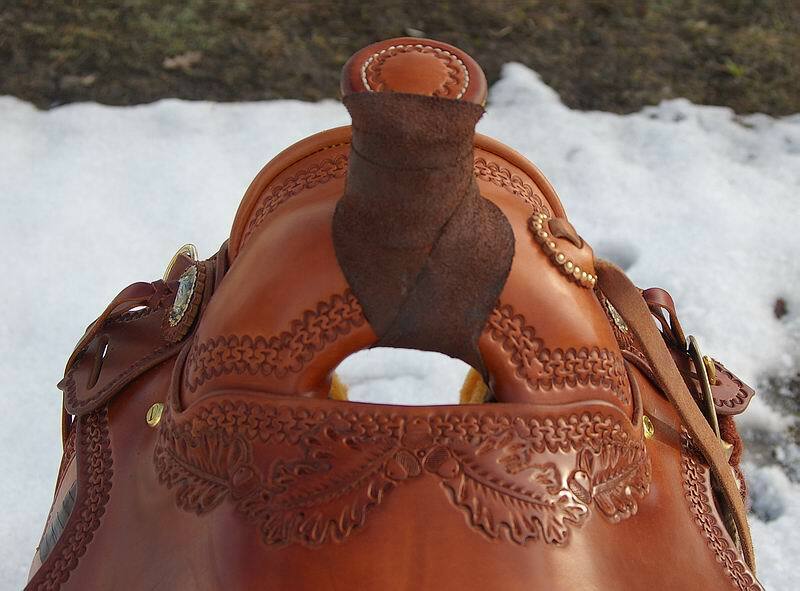 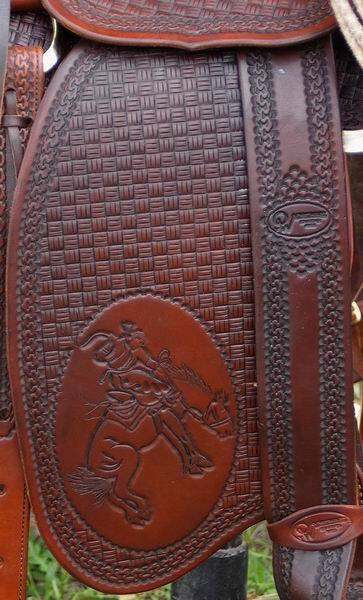 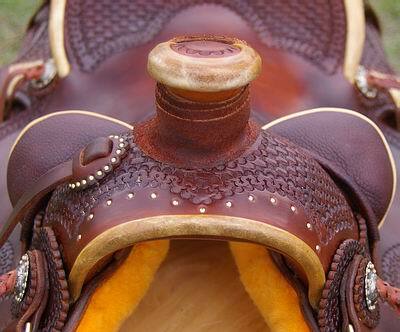 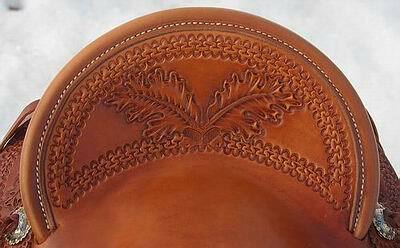 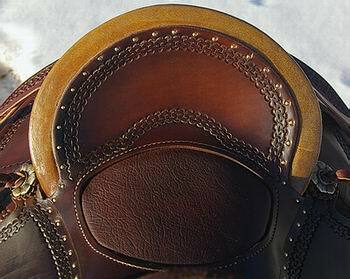 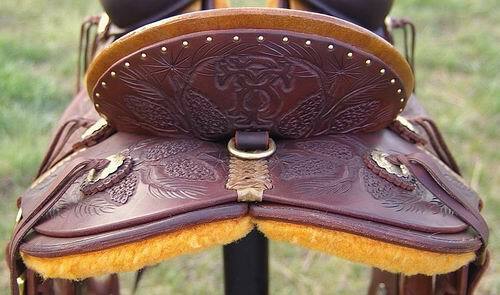 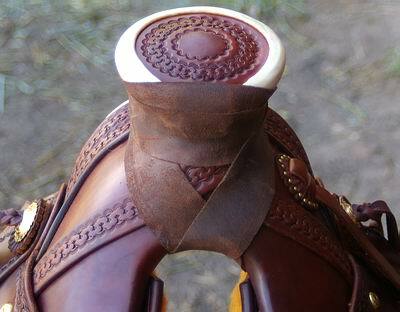 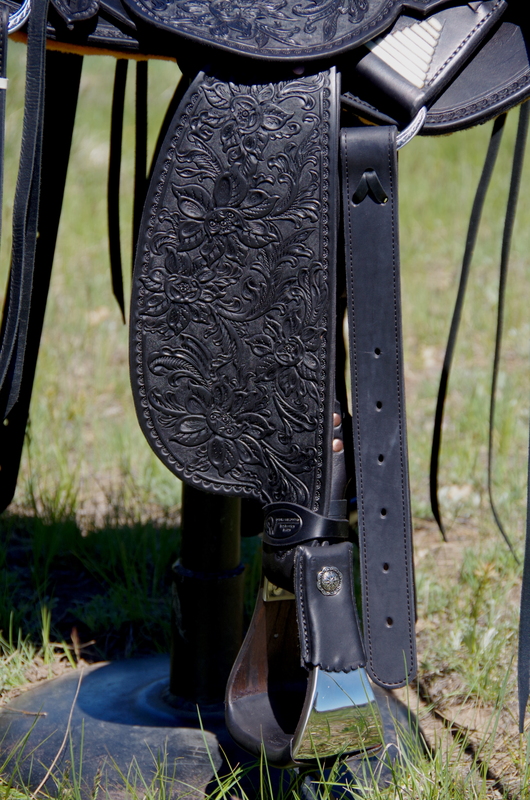 I think what sets you apart from other saddle-makers is the attention to detail. 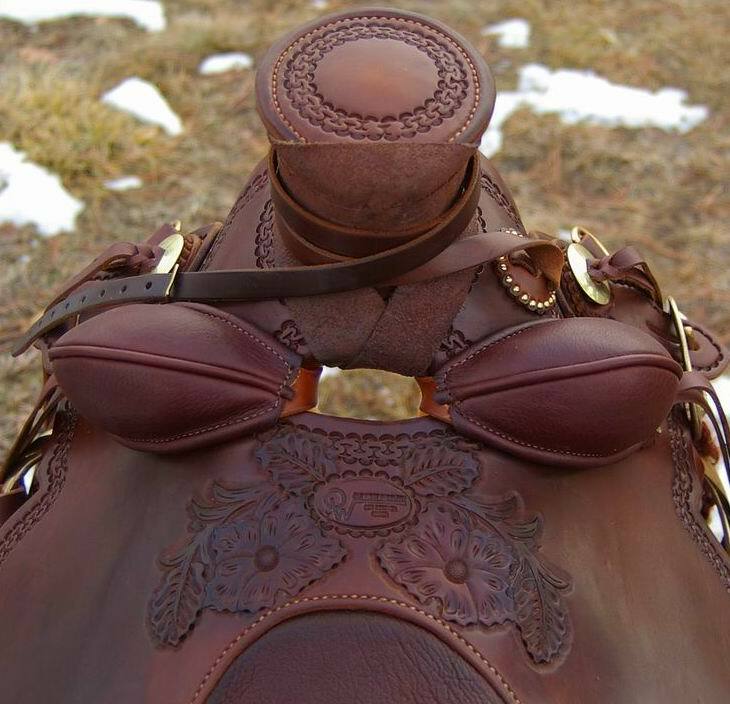 Not only for the rider, but more importantly for the horse. 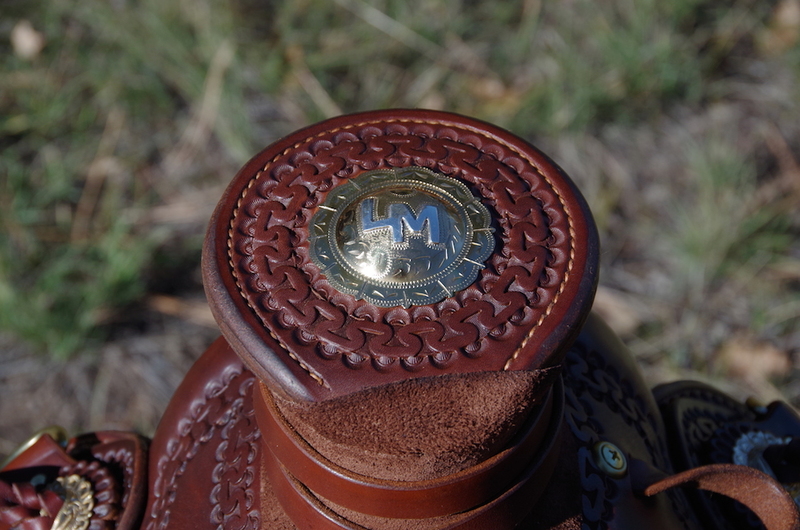 In this crazy world of mass production, it is rare to find a company that truly cares. 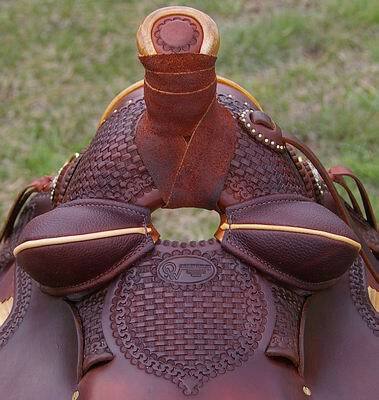 Sure, there are other pretty saddles, but yours are works of art from the inside out. 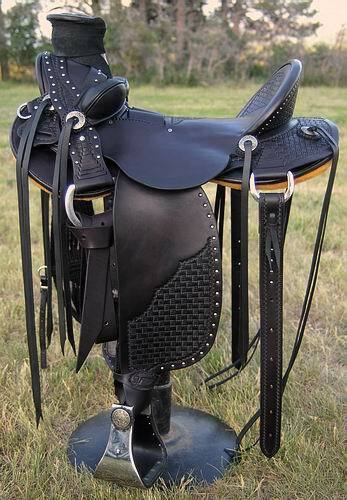 It's been over a year since I got my saddle. 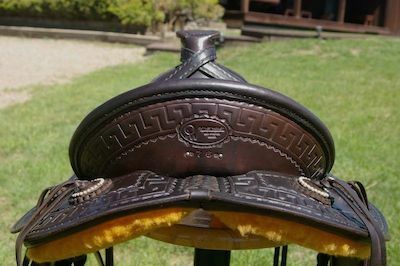 I'm sure you are accustomed to your customers letting you know how much they love their saddles - I am among those many folks. 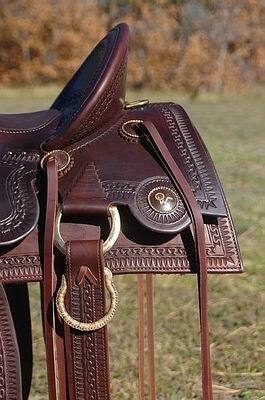 I love my saddle so much. 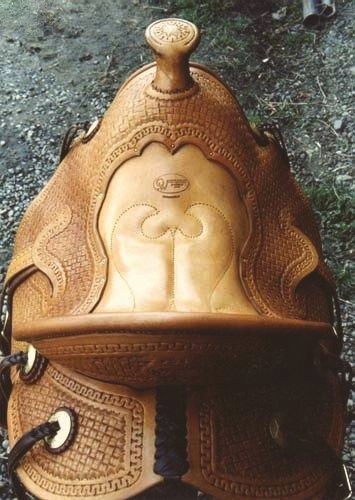 When I throw it up on my horse I reflect on how fortunate I am to own such a fabulous saddle. 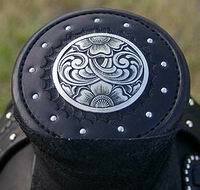 It just feels right to let you know how much I am enjoying it. 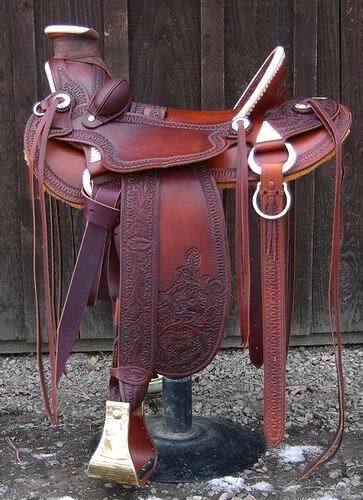 Thank you very much with the warmest felt appreciation. 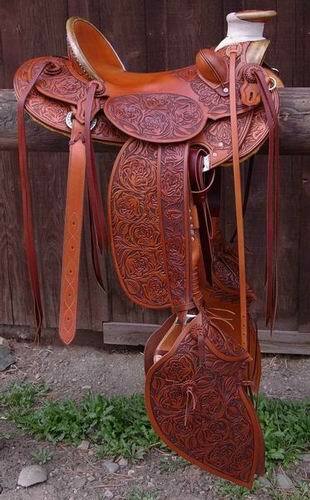 I hope this finds you both well and blessed." 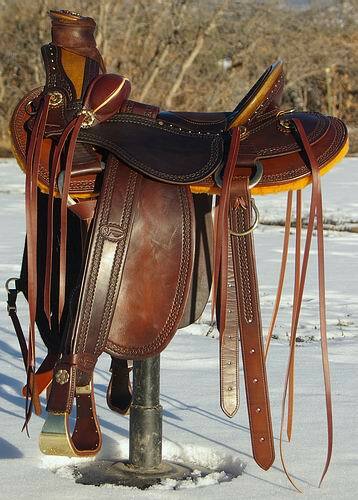 I have attached the link to see my Facebook photo album of me and Sky with our new saddle. 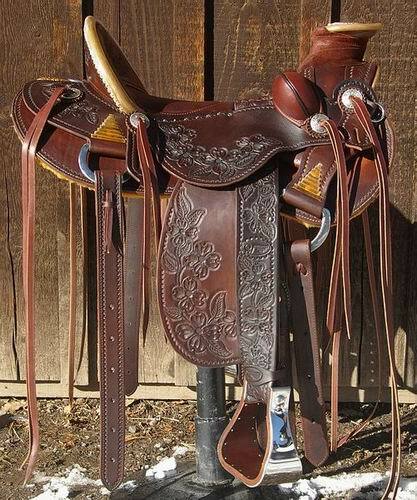 Oh MY God it is amazing to ride in. 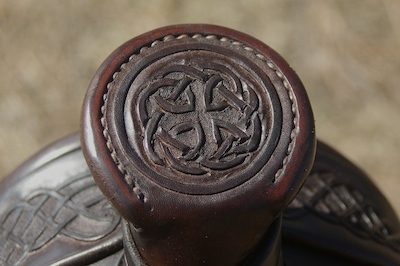 My balance point is now clearly known to me & my circles are round. 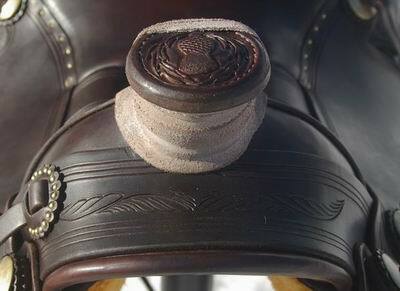 I have always had so much trouble riding a nice circle. 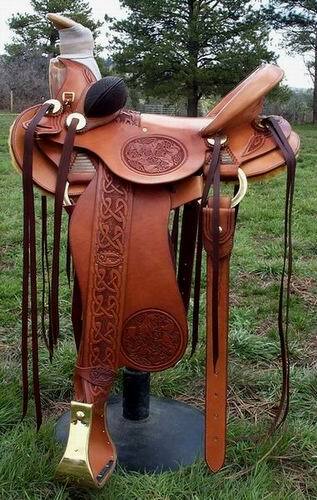 I can not even explain how perfect it is. 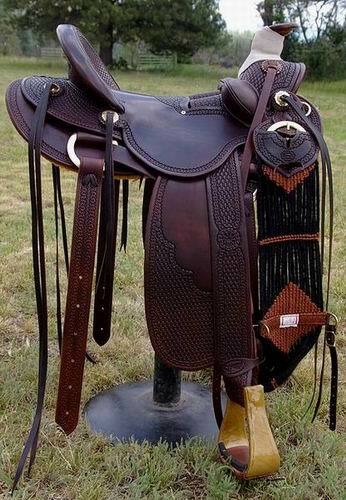 Everyone notices how it sits so perfectly. 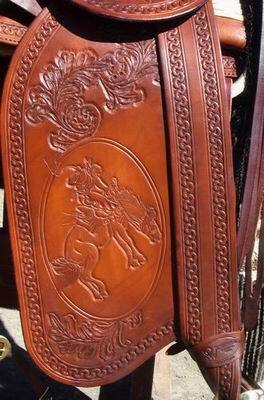 I so can not wait to show it off at Ant's clinic in May. 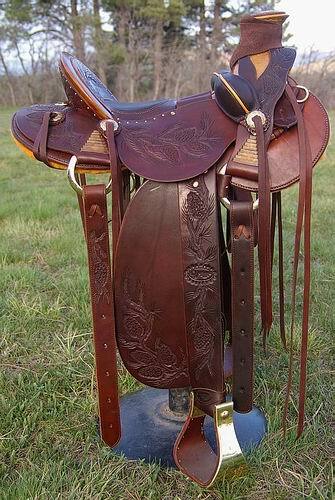 For several years I rode saddles that hurt me and my horse after a long ride he was almost always sore and so was I. 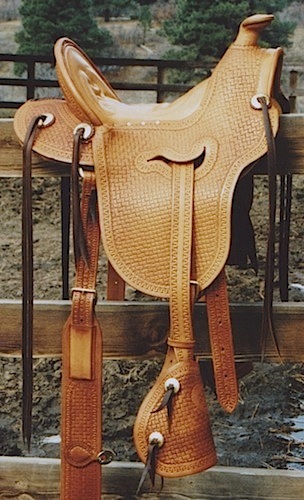 The saddle I purchased from you has never made my horse sore and I can ride it comfortably for hours. 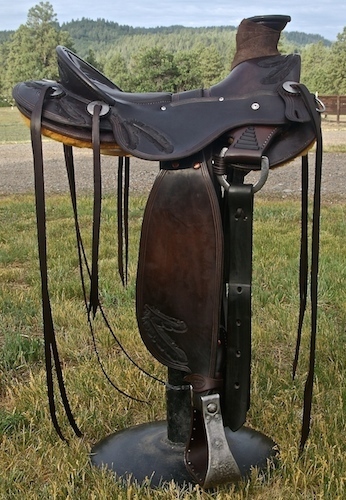 I never truly understood “balanced” riding until I purchased my new saddle that fits me. 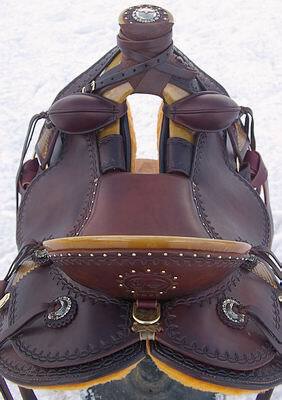 When riding rough terrain in Colorado Mountains I am much more secure. 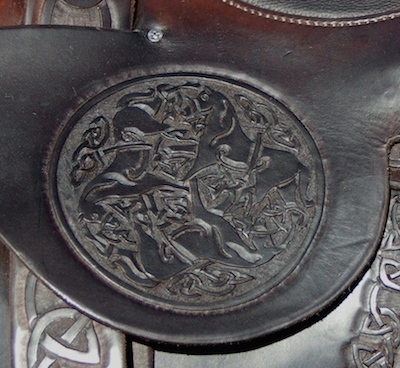 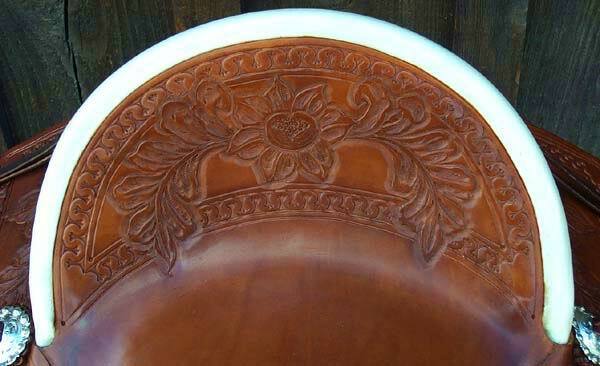 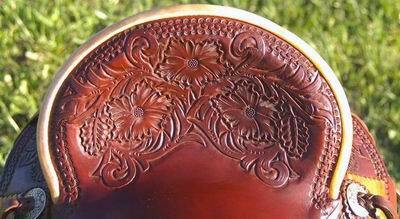 And as it that is not enough, it is great fun to sit on a piece of handmade western art.